Another European Tour event to be staged in South Africa should result in one of the home players lifting the trophy says Mike Norman and his stats. But which one will it be? "Of the six Joburg Opens staged on the European Tour, four have been won by a South African player." Here we go again. Another golf tournament staged in the Rainbow Nation, and another one that sees the betting dominated by South African golfers. But is it any wonder given the incredible record that South Africans have when playing in their home nation? I never miss an opportunity to roll out my new rule of golf betting - when in South Africa, back a South African. True, that rule is a bit flippant when you consider how many South Africans actually tee it up when the European Tour comes to town, but it's still worth remembering that there's more than a handful of good Europeans lined-up in these tournaments for them to give the local players a run for their money. As Sod's law would have it, the last time I made such a big noise about the record of home players in South Africa, a European went on to win the tournament. But since then we've had another two South Africans win a European Tour event in their home country meaning that the record of 'home' victories now reads 10 from the last 12 tournaments staged in the Rainbow Nation. 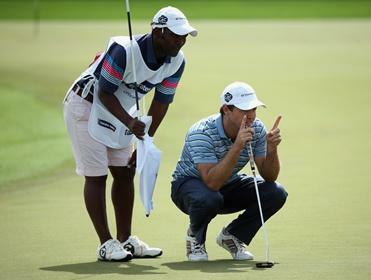 Below I've put together a small stats pack to highlight the superb record of South African golfers on their own soil, and hopefully provide you with some betting hints for this week's tournament. - Of the six Joburg Opens staged on the European Tour, four have been won by a South African player. - Not one of the six Joburg Opens has ever concluded without at least three home-based players finishing in a top five position. - In the six stagings of the Joburg Open, a total of 23 South African players have finished in the top five, and no less than 43 of them finished tied for 12th or higher. - The last three renewals of the Joburg Open suggest South Africans are more dominant on home soil than ever before. All three were won by a home player, eight finished in a top 12 position in 2010, seven recorded a top seven finish in 2011, and five finished in a tie for third or higher last year. - Tournament favourite Charl Schwartzel had an impressive upwardly curve at this venue until last year. Prior to missing the cut 12 months ago his five previous visits to Royal Johannesburg and Kensington GC produced form figures of 19-14-4-1-1. Schwartzel's last appearance on the European Tour resulted in a 12 shot victory in, you guessed it, South Africa. - Previous winners of the Joburg Open - even inaugural winner Ariel Canete - had all shown either very good recent form and/or had winning form in South Africa. Richard Sterne is a multiple winner in his home country and finished in an excellent second at last week's Dubai Desert Classic. - Approximately half of the South Africans that have recorded a top-10 finish in the Joburg Open were available to back at a triple figure price (to win) prior the competition. Tjaart Van der Walt has finished 17th and seventh here in recent renewals and recorded another top-20 finish on home soid at the recent Alfred Dunhill Championship. Logic and statistics say that we need to be looking towards South African players to win this year's renewal of the Joburg Open, and probably looking towards the head of the market too. Schwartzel is a worthy favourite on course form and recent form, but the fact that we haven't seen him for a while is a slight worry. Six weeks without competitive action is enough time for a golfer to lose his form slightly, and if that's the case here then I believe Sterne is the man to take advantage. How George Coetzee ([9.4]) is half the price of Sterne is a complete mystery to me. Coetzee has never won a European Tour event and doesn't exactly have a tremendous record here, whereas Sterne is a multiple winner in his homeland, has won five times on the European Tour, is a previous winner of this event, and finished a rock solid second (clear of the rest) in Dubai last week. I must be missing something. It's not all about the fancied players however, as my final stat above points out. Little-known South Africans can often contend in these tournaments and the one I fancy most is Van der Walt. This is a player who once held a PGA Tour card and came extremely close to winning the Buick Open, losing out only to Brad Faxon in a play-off. He took some time away from the game but has returned in recent seasons to play mostly in his homeland. He's performed well at this venue previously and could go well at a big price.